College is a huge investment for families. And whether you’ve had one kid or several kids attend college, conversations surrounding finances have likely remained an essential part of your student’s higher-ed journey. To make these conversations decisive but not divisive, we’ve gathered five tips that can help parents assist their kids with financial aid. Consider these tips as a starting point for your questions, comments and further research. With classes in session and a new wave of students stepping onto campuses, fall is an especially beneficial time to think about financial aid — and to seek advice about it! Completing the FAFSA is essential. As we’ve stressed in other blog posts, filling out the Free Application for Federal Student Aid (FAFSA) is the single most important financial aid document for your family to complete. Completing the free form makes your student eligible for grants, loans and Federal Work-Study, all administered by Federal Student Aid, the largest provider of student financial aid in the U.S. The FAFSA is available on Oct. 1 each year, and we encourage your student to complete it as soon as possible. Submitting early will ensure that your student has a chance to qualify for first-come, first-served awards. As a parent, you can assist by having your financial information ready come application time, such as W-2 statements and social security numbers. Know the real cost of college. Tuition and fees vary widely by school. 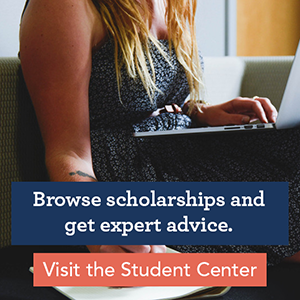 The U.S. Department of Education’s College Affordability and Transparency Center shows that similar private, four-year institutions can differ in tuition by more than $47,000 — and these differences don’t take into account additional costs like textbooks, supplies, room and board, transportation or personal costs (like airplane tickets for your son or daughter to visit for the holidays). Most college financial aid office websites provide an estimated cost of attendance, which is a helpful starting point for families. Remember to keep in mind, though, what your student’s personal expenses may be — and that these expenses will be multiplied for each year they’re in school. Students typically have a number of reasons they choose a school — size, location and quality of programs, to name a few. Take these into consideration alongside a financial aid package. For example, a school may offer less financial aid but may offer a significantly better major for your student’s future success. Take advantage of tax credits. There are currently two tax credits related to higher education expenses. Even though you may only claim only one of these credits in your annual tax return, and not both, it’s still worth researching both options. The American Opportunity Tax Credit allows for a maximum credit of $2,500 per eligible student to individuals whose modified adjusted gross income is $80,000 or less, or married couples whose income is $160,000 or less. It’s available to students who have four years or less of college credits, so undergraduate students are most eligible for this credit. Claiming the Lifetime Learning Credit allows up to $2,000 per return. There’s no limit to years in school — it’s available for all years of postsecondary education, as well as for courses to acquire or improve job skills. The maximum income level is lower here: $63,000 if filing as an individual, and $127,000 if filing as a married couple. Additionally, remember to look into other savings options like a 529 plan, a state- or school-operated account designed to help families save money for future college costs. Plans are split into two basic categories: prepaid tuition plans and savings plans. Since all states sponsor at least one type of plan, remember to research your state’s 529 plan(s) and their benefits, fees and expenses. Each one will be different, so it’s important to compare plans before deciding which is best for your family. More aid is out there — continue to help your kids look. At Scholarship America, we understand how important it is to look at scholarship applications often — and how much of a difference those hours can make in money for college. Encourage your students to continue searching for scholarship opportunities at organizations, foundations and schools they’re interested in. 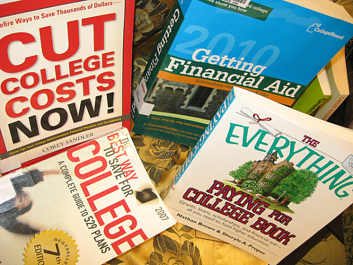 (Here are five scholarship resources we’ve covered that you can share with your kids.) Help them recognize their many abilities and interests for applications, which may pay off in dollar amounts. And, most importantly, don’t give up!